At Wizard World Toronto last weekend, Adam informed me I had to go check out a table in Artist Alley. He had snapped a quick picture of the table on his phone to show me why.... My Little Pony perler bead creations! I quickly headed to the table to see them. 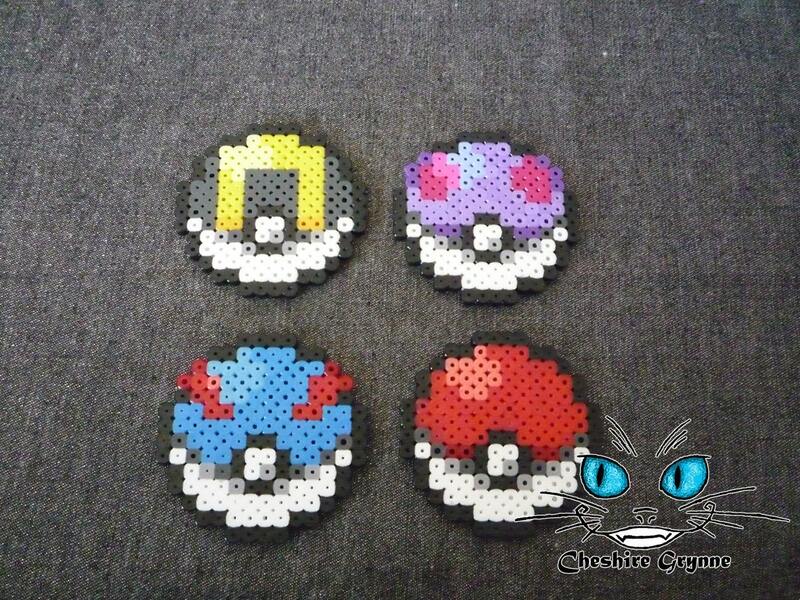 So I've seen perler bead art before but the detail that was put into these pieces was amazing! And I couldn't get over all the ponies! I'm actually a little disappointed I didn't buy myself one at the show. 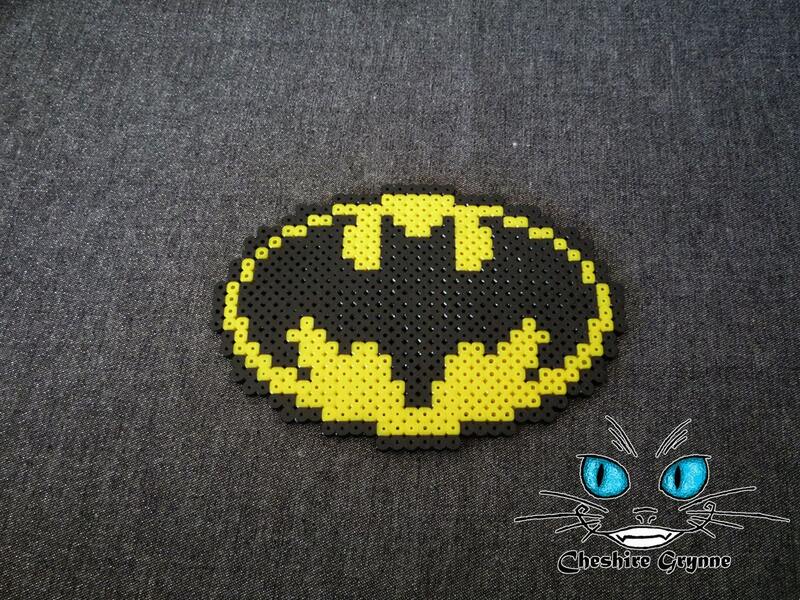 But once I grabbed the business card and saw there was an Etsy shop listed, I thought using some of my paypal money to buy myself something might be a better option for me. 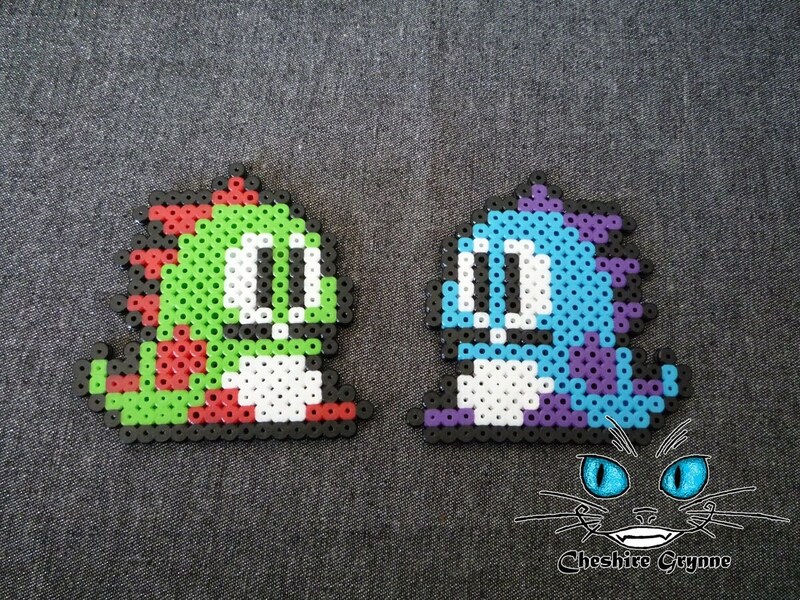 Amy Williams, who is behind Cheshire Grynne, is the creator of these amazing perler bead pieces! At the show there were both keychains and magnets available and both options are available in her Etsy shop as well. There are no My Little Pony items in her shop yet but once they are, I need to get my hands on one... or all of them! Check our her Etsy shop and Facebook page for more of her amazing art! How cool, I love the detail in those creations and the way that someone has the patience and the craft to create something so beautiful and unique as this. Thank you so much for sharing. Those are cool, I like the little Mario mushrooms in her shop!